Did we say that it will be fun?  The Cooper Dust Series will consist of three different events in five different regions. These regions are the Western Cape, Gauteng, Mpumalanga, Eastern Cape and Free State. These events will be deemed qualifiers for the Grand Final or Cooper Dust Series Tankwa, but winners and placings will still be published and announced at each event. For each event, the competitors will be placed on a scale with the last placed getting one (1) point on the log, and first placed getting the maximum of allowed entries for that event. If it was 50 entries, the winner will get 50 log points. The first three placed competitors will automatically qualify for the Grand Final. If an event is won by a person who has already qualified, the next best finisher will gain the qualification spot for the final. At the conclusion of the third event in a region, the 9 qualifiers from all that region’s events, as well as the next best qualifier on the log, will gain entry into the final. Thus bringing 10 competitors from a region to the final. In the event of a tie on the overall log, the competitor with the highest placed finish at any of the events will continue to the final. If it is still a tie, the competitor with the most completed obstacles will continue to the final. If it is still a tie, a coin flip will decide who goes to the final. All-or-nothing principle: At a certain obstacle, there will be a maximum amount of points on offer for a competitor. If he/she completes the obstacle without stopping or rolling back, he/she gets the points. If he/she stops by the judgement of the marshall, or rolls back, he/she will het no (0) points for the obstacle but can continue with the event. Regularity raid model: Where the event allows, there will be a regularity raid model employed. This means that between obstacle, drivers will have a target time set to keep the driving speeds as safe as possible. The time over that stage will be noted and the driver will be scored accordingly to the time he/she arrives at the following checkpoint. More points will be deducted for arriving too soon than would be deducted for arriving too late. Navigation model: In this case the competitor will be handed coordinates and will need to navigate to the position and continue from there. This will be scored on shortest distance and the closest to the target time. Gates and flags: It is not the philosophy of the Dust Series to include gates and flags in obstacles, but there are exceptions where this is employed in a creative and different manner. Combination: At any event a combination of these models can be used to score the competitor. The grand final: The Grand Final will take place in the Tankwa Karoo over a weekend, starting on the Friday morning. Competitors must be at the venue on the Thursday-evening for registration. The prologue to determine starting order will be held on Friday-morning. The final will be two legs. First will be a trail drive from the venue, heading out on a 4×4 trail into the Cederberg Mountains and returning on another trail to the venue. On the trail there will be checkpoints with obstacles and points will be awarded for successful completion of the obstacles and time taken on the regularity stages between checkpoints. The second leg of the event will be a regularity raid stage on a circular route starting and finishing at the same place. This event will be ran with a target time for each stage and points will be awarded accordingly. A combination of the points scored on the two legs will be used to determine the ultimate winner. No points scored in qualifying events will count towards this scoring so all teams at the final will start on even footing. The safety of competitors, spectators, officials and organisers is always of greatest importance. Organisers will act swiftly against any competitor who seems to willingly endanger those around him and himself. That being said, the aim of the events is not to break or damage vehicles, but rather to find a different and adventure-based approach to 4×4 events. Although the utmost care is taken in preparing events and courses/trails, damage is always a possibility and competitors must understand this before entering the event and not hold organisers, their sponsors, affiliates, the owner or affiliates of the terrain or any associated parties responsible. The main purpose of the event and series is to create a different type of challenge for competitors. Vehicles will not drive through gates where the size of the vehicle will count against it. If and when gates are used, it will only be to guide competitors. If, however, a competitor misses a gate or drives over it, he will lose all points for that obstacle. The obstacles scoring will be done on an all or nothing basis. If a competitor completes the obstacle, he/she will get full points. If the competitor does not complete the obstacle on their first try, they will not be awarded any points. An obstacle is seen as incomplete if the vehicle comes to a complete stop or the wheels move backward. Moving backward is interpreted by the matchbox rule – if a matchbox was behind the wheel, would it have been crushed by the backwards motion of the wheel or not. Where the checkpoints are not used in a specific sequence, i.e, they can be attended in any order, distance will be used to replace time and the person with the shortest distance overall will receive top honours. If at any point during the event a recovery is required by any competitor, if a marshall is at hand to assist, other competitors are required to continue with their trail to prevent a bottleneck and losing their own time. If a marshall is not at hand, a fellow competitor may assist in the recovery. Where applicable, time for that stage for competitors involved will not be penalised as good sportsmanship is encouraged. Scoring will be done and completed on the day of the event and no correspondence will be entered into. All scores will be audited to ensure a free and fair competition. If a competitor would like to lodge a complaint, it can be done in writing within 48 hours of the completion of the event along with a R2000 refundable deposit. Only in extreme circumstances where wrongdoing can be proven beyond a doubt will scores be altered and the deposit returned. However, if wrongdoing can’t be proven, the deposit will be forfeited. Scoring of events is designed to take the human element and chances for mistakes out of it. All scoring will be quantifiable and will not be open to interpretation of marshalls or crew. As with any event that involves vehicles and people, there is an element of danger. It is at all times the responsibility of the competitor to keep him/herself safe and to ensure the safety of those in and around the vehicle. Medical staff will be at all events and will be available for all competitors and spectators. The cost of treatment is however for the patient, and not the organiser. Indemnities and disclaimers for each trail used, as well as for the organisers of the event will be provided and must be signed by all participants and spectators. Without a signed indemnity no driver or co-driver will be allowed on any trail or any part of the event. It is the aim of the organisers to create and host an event that will not damage or break vehicles. With reasonable and safe driving techniques all vehicles which are deemed fit to enter should complete all challenges and obstacles without damage. However, reckless driving and unsafe behaviour from drivers and co-drivers that do result in damage or injury, will not be the responsibility of the organisers, but that of the party which caused it. Sufficient ground clearance to take on and conquer anything up to a grade 4 4×4-trail without damage to the vehicle. Must have a fuel capacity/fuel range of at least 500 km. The name of the driver and co-driver should be applied with stickers or sign writing on the side of the vehicle where the person will be sitting. This should also include blood type. For a participant to take part in an event, the organisers require their medical aid details to be provided in case of emergency. A next of kin contact should also be provided. Please send me details for entering. Keep an eye on this page, and also make sure you are signed up for the newsletter. Het vir jou ‘n e-pos gestuur.